Proving yet again that Program pedestals versatility and musicianship, the imprint returns with another record which shows it’s here to stay. 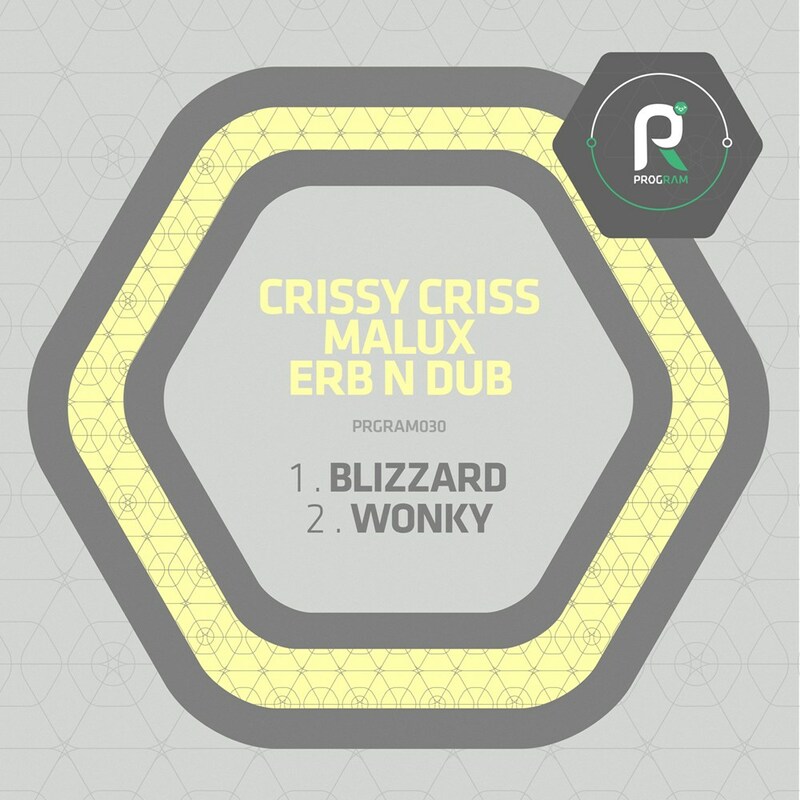 Featuring the renowned tastemaker Crissy Criss, who has premiered some of the bigger drum & bass anthems across the radio airwaves, as well as budding newcomer Malux and Brighton Maestro Erb N Dub, these fresh cuts feature three artists that demonstrate a winning combination. Up first is the dirtier dancefloor slayer ‘Blizzard’. Epitomising the darker sounds these three bring together, it’s a techy slice of distorted bassline and snappy stabs which roll you deeper into its directly thick composition. Peddled on kick drum with tinny percussion filtering through the mix, prepare yourself to be drawn into the murkier depths of dancefloor’s globally. Switching up midway, the trio take you to a depth they master ingeniously. You’re then introduced to the brooding, rolling number ‘Wonky’. Described perfectly within its own name, this lumbering yet dynamic track provides a switch up in any set. Setting out on a funky undercurrent, its falling arpeggios and bouncing subs take you across a production line of carefully crafted beats. Fiercely different from its predecessor, you’re provided with a glimpse of the producers’ capabilities. A set of skills sure to see them appear on your playlists this summer. So once again, it’s time to get with the Program… a label front lining the genre’s shadier side.